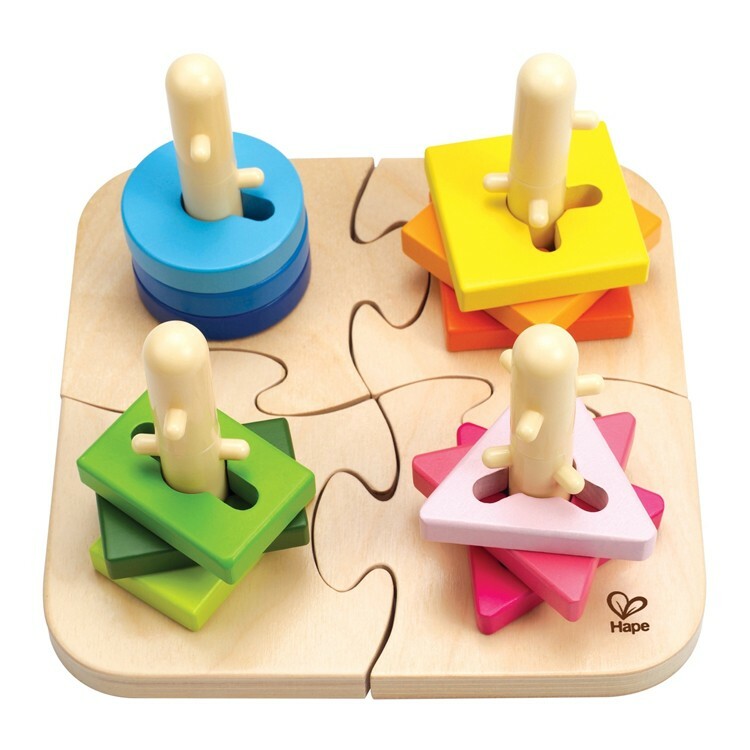 HaPe's multifunctional 3D wooden puzzle for toddlers and preschoolers provides the exceptional learning environment for children. 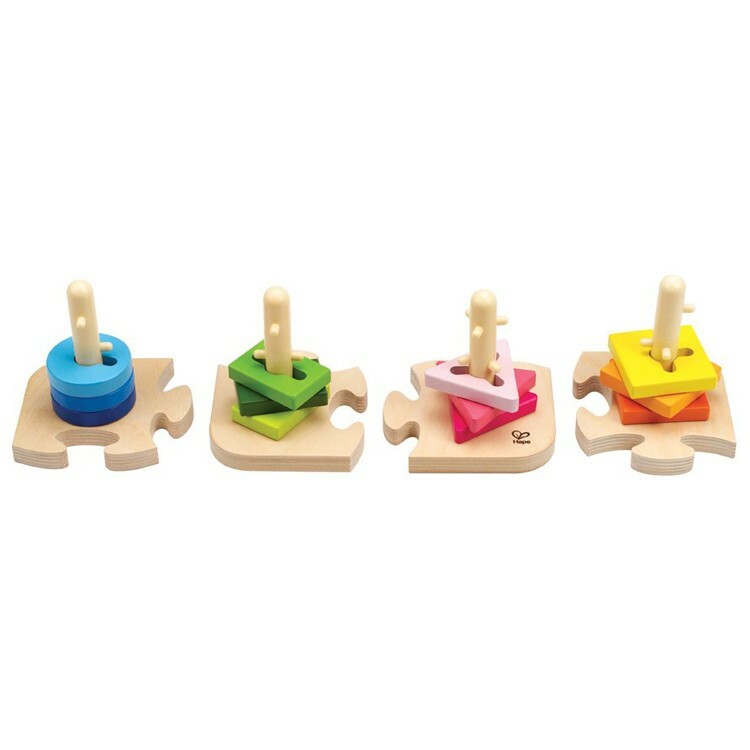 It is hard to invent a simple toy with more educational activities than Creative Peg Puzzle - Toddler Wooden 3D Puzzle. 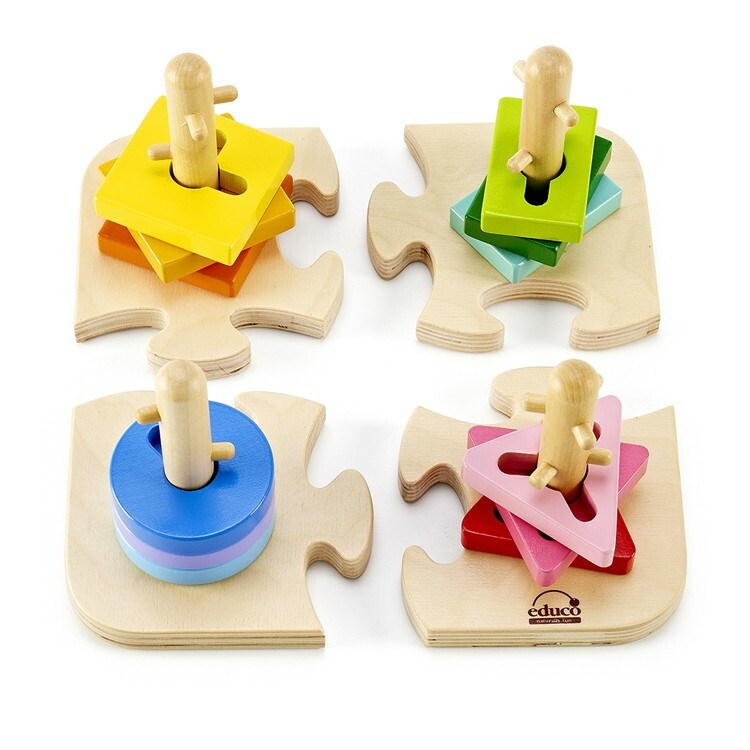 This HaPe's bestsellers for toddlers and preschool kids features a wooden base with pegged posts creating a 3D puzzle site for the little ones. 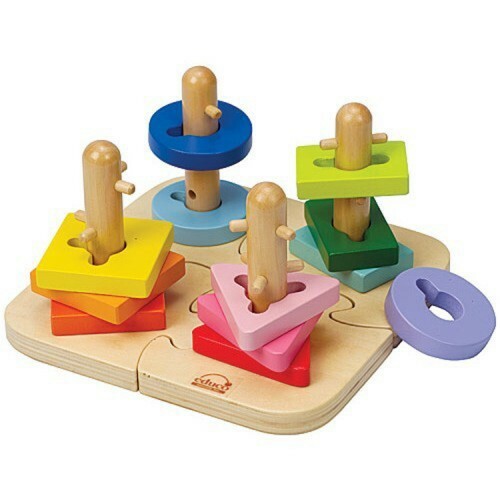 This smart play set comes with 16 different grooved shapes to place and twist them on the pegged posts. 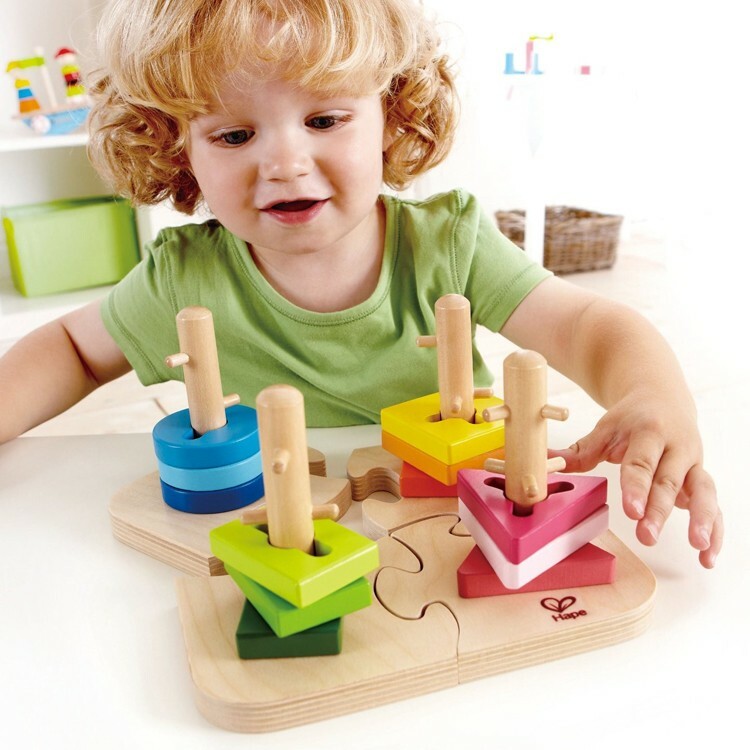 The Creative Peg Puzzle - Toddler Wooden 3D Puzzle from Educational Toys Planet adds extra dimension to a shape learning puzzle, extra manipulative activity for the little hands and extra fun for children to play with this super puzzle. 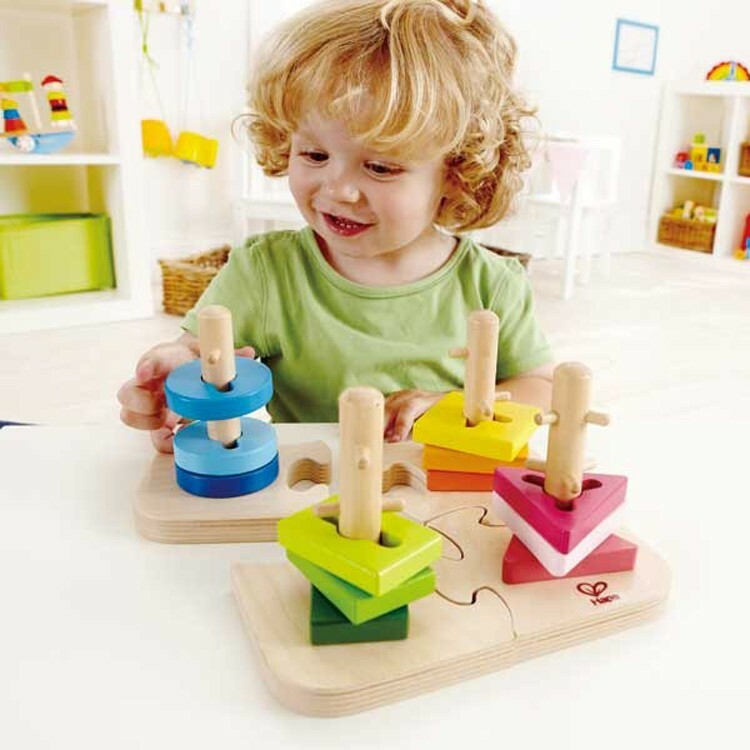 The multifunctional 3D wooden puzzle and plaything for toddlers and preschoolers will provide the exceptional learning environment for your child at home or preschool. 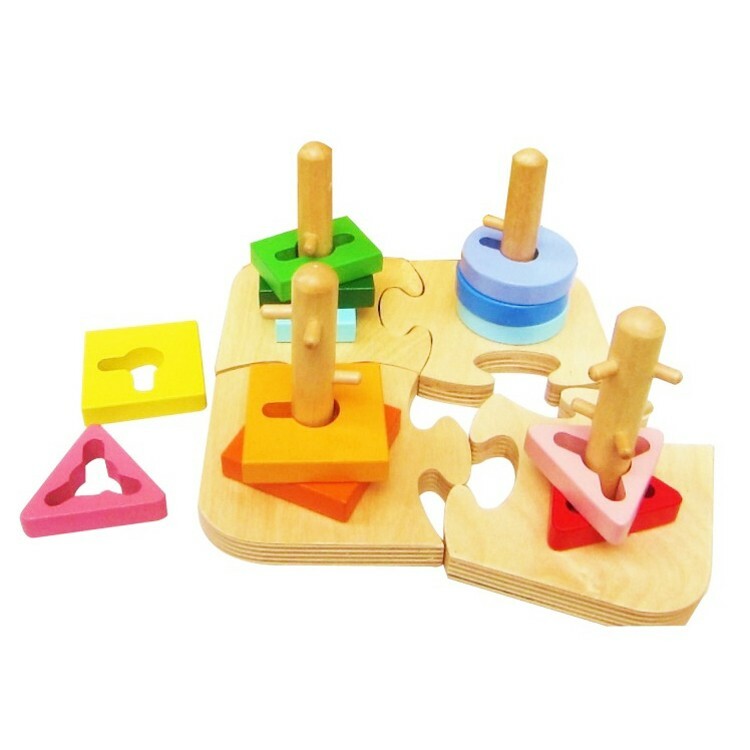 Dimensions of package 7.76" x 7.76" x 4.57"
Write your own review of Creative Peg Puzzle - Toddler Wooden 3D Puzzle.